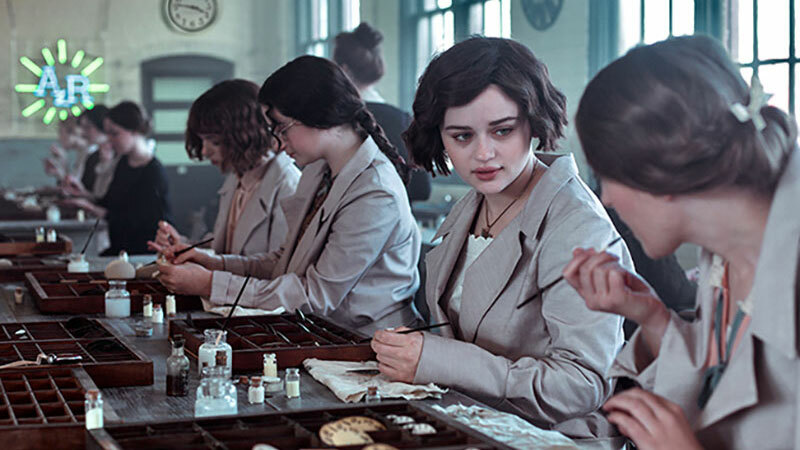 Based on true events of the late 1920s, teenage sisters Bessie and Jo, (Joey King, TV’s Fargo and Abby Quinn, Landline) dream of faraway places while they paint glow-in-the-dark watch dials at the American Radium factory in New Jersey. When Jo becomes ill, a larger, darker truth begins to emerge: she is not the first girl in the radium factory to become unwell. Bessie fights not only for her sister, but also for the rest of the women around her. Radium Girls, the feature directorial debuts of producer Lydia Dean Pilcher (The Lunchbox, The Darjeeling Limited) and writer Ginny Mohler, explores what it takes to piece together the small elements of wrongdoing in order to understand the scope of a larger injustice and, ultimately, fight against the system. A powerful story of injustice and activism, executive produced by Lily Tomlin and Jane Wagner, Radium Girls interweaves 1920s archival footage with original domestic scenes to bring this important historic tale out of the past and celebrate the story of everyday women finding strength in the unlikeliest of circumstances.